Kentucky Family Law: What Is Considered Marital Property In Kentucky? August 24, 2017 /in Kentucky Family Law /by Daryle C. Tibbs Esq. Tibbs Law Office Kentucky Family Law: What Is Considered Marital Property In Kentucky? https://tibbslawoffice.com/wp-content/uploads/2011/07/Family-Law-Keyboard-110717-sm.jpg 267 400 Daryle C. Tibbs Esq. https://tibbslawoffice.com/wp-content/uploads/2016/02/logo-300x74.png Daryle C. Tibbs Esq.2017-08-24 21:50:232018-02-14 15:50:29Kentucky Family Law: What Is Considered Marital Property In Kentucky? Kentucky Family Law: How Much Could I Be Ordered To Pay Or Receive In Maintenance In Kentucky? August 17, 2017 /in Kentucky Family Law /by Daryle C. Tibbs Esq. 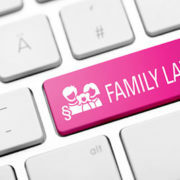 Daryle Tibbs, owner of Tibbs Law Office, continues a new series dedicated to the topic of Kentucky Family Law. https://tibbslawoffice.com/wp-content/uploads/2011/07/Family-Law-Keyboard-110717-sm.jpg 267 400 Daryle C. Tibbs Esq. https://tibbslawoffice.com/wp-content/uploads/2016/02/logo-300x74.png Daryle C. Tibbs Esq.2017-08-17 21:33:502018-02-14 15:50:29Kentucky Family Law: How Much Could I Be Ordered To Pay Or Receive In Maintenance In Kentucky? Kentucky Family Law: Can I Get Maintenance During My Dissolution Or Legal Separation In Kentucky? August 10, 2017 /in Kentucky Family Law /by Daryle C. Tibbs Esq. https://tibbslawoffice.com/wp-content/uploads/2011/07/Family-Law-Keyboard-110717-sm.jpg 267 400 Daryle C. Tibbs Esq. https://tibbslawoffice.com/wp-content/uploads/2016/02/logo-300x74.png Daryle C. Tibbs Esq.2017-08-10 21:20:432018-02-14 15:50:29Kentucky Family Law: Can I Get Maintenance During My Dissolution Or Legal Separation In Kentucky? Kentucky Family Law: What Factors Will The Court Consider When Determining If Spousal Support Shall Be Paid? August 1, 2017 /in Kentucky Family Law /by Daryle C. Tibbs Esq. https://tibbslawoffice.com/wp-content/uploads/2011/07/Family-Law-Keyboard-110717-sm.jpg 267 400 Daryle C. Tibbs Esq. https://tibbslawoffice.com/wp-content/uploads/2016/02/logo-300x74.png Daryle C. Tibbs Esq.2017-08-01 00:31:172018-01-20 17:12:39Kentucky Family Law: What Factors Will The Court Consider When Determining If Spousal Support Shall Be Paid?